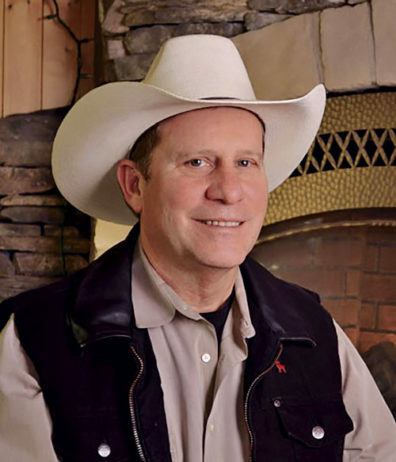 What began as a way to avoid going stir crazy while recuperating from a nearly fatal equestrian accident has become an award-winning western genre trilogy that blends suspenseful mystery and the allure of lost fortunes with good old-fashioned frontier fortitude. Landscape architect STEPHEN B. SMART ’75 calls himself an unlikely novelist. He’s spent most of his life outdoors, designing everything from elaborate gardens and water features to a driveway gate cleverly concealed to appear as a fallen ponderosa pine. And in his free time, he’s more likely to be found atop a favorite mule exploring the Pacific Northwest backcountry than sitting at a keyboard for hours at a time. But his inaugural effort, Whispers of the Greybull, ended up as a 2012 finalist for a Western Writers of America’s Spur award. And the prequel, Vanishing Raven, was a runner-up in the 2015 Will Rogers Medallion awards. 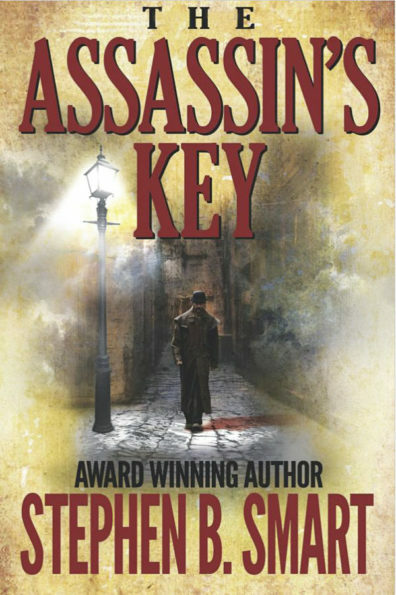 His latest tale, The Assassin’s Key, was just released last winter. That was in 2003 and Smart, a physically fit guy who had built a successful Spokane-based landscape design and construction company along with a commercial nursery, was in bad shape. He’d been out for a ride alone one morning when his mule, Butch, started to shake, then reared up in what later would be determined was a heart attack and toppled backward on top of Smart. They crashed down a hillside along the seldom-used trail north of Spokane and the next thing Smart remembers is waking to find his shattered leg in an unnatural position across his lap. He drifted in and out of consciousness. Chest injuries prevented him from yelling for help, though he finally mustered enough strength to gasp as loudly as he could. Eventually, a nearby fisherman who was testing the volume range of his new hearing aid picked up the faint pleas for help. Smart came through surgery fine but was bedridden and heavily medicated. He slowly came to terms with what would be a lengthy recovery. He calls his first, initial efforts embarrassingly bad. “I was still on painkillers when I started and when I read back over it later, a lot of it didn’t make any sense,” he recalls with a laugh. But he stuck with it and before too long had what he considered a decent plot and outline. His mother was a gifted storyteller and Smart says he drew on childhood memories of her ability to spin interesting, interwoven tales that inspired and captivated whoever was listening. His decades of business experience ended up serving as unexpectedly fertile training for an adventure novelist as well. Just like his elaborate landscapes, Smart’s novels feature layers of creativity that combine to form detailed glimpses into the wild challenges of frontier life. And the multiple, intersecting narrative arcs are managed with the kind of experience gleaned from juggling a dozen or more construction projects at a time. Smart even drew on his WSU roots. The protagonist in Whispers of the Greybull is a fictional former WSU quarterback whose football career was cut short by a knee injury. He instead takes a job on a Wyoming ranch after graduation and stumbles into a lucrative mystery that requires brains and not just brawn to solve. Like life on the frontier, very little of Smart’s transition to novelist was simple. He sent his manuscript to dozens of book publishers but none bought it. He decided to publish it himself. “So I had all these books and I didn’t know anything about selling them,” he says. An agricultural supply store in Spokane Valley agreed to display his first book and not long after that he got a welcome call. “They told me all the books I’d left there had sold and they wanted more,” Smart says. From there, the book continued to draw attention, readers contacted Smart’s nursery to find out if he’d written any other books, and online sales picked up. The Western Writers of America awards brought the novel even more attention. Smart, however, has continued to self-publish and total sales have topped 9,000 copies so far. He says his third book will be his last—at least for a while.